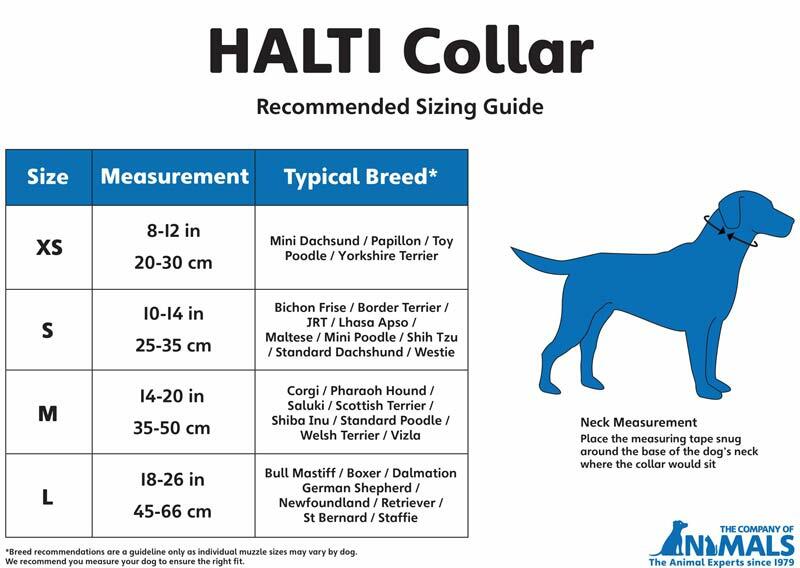 The patented Halti head collar designed by Dr. Roger Mugford, gives you total control when walking your dog. The soft nylon collar fits comfortably around its face without restricting the mouth. 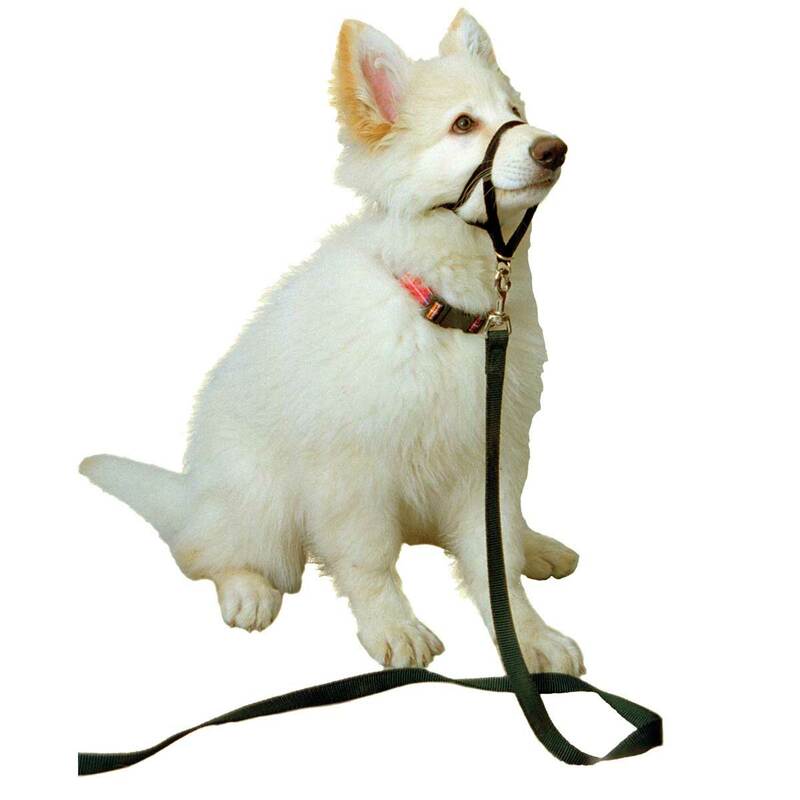 If the dog tries to pull or lunge forward, the Halti transfers the forward motion into turning the head sideways. This immediately discourages the actvity without any undue stress to the animal. Perfect for leash control training and as a permanent training collar for large or active dogs.